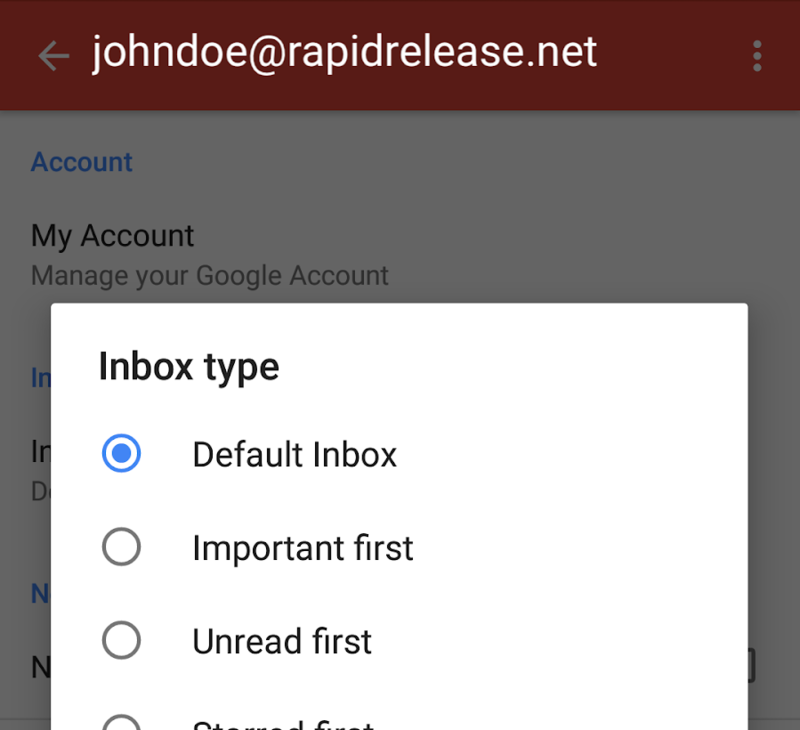 Inbox types are now live in Gmail 8.2.25.188905562. 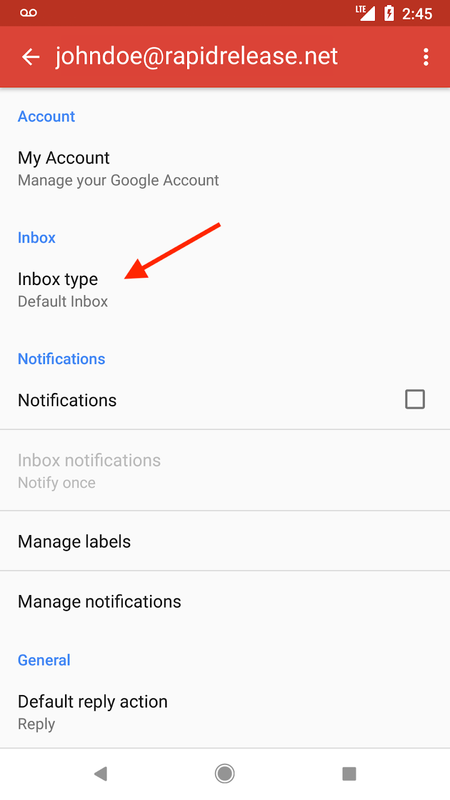 You can get it from the Play Store or from APK Mirror. Thanks Joel Teichroeb. 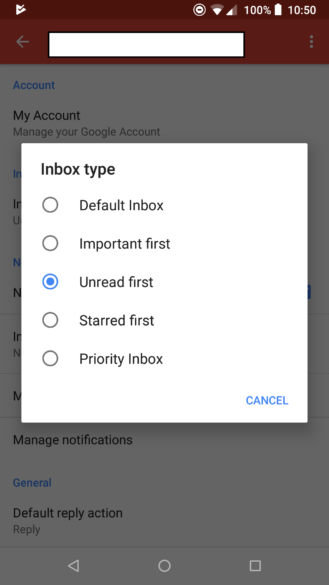 One of the nice things about this change is that a user's chosen layout will sync across all platforms, so if they select the 'Unread first' layout in the Android app, the web interface (and iOS app) will also show the same layout, and vice-versa. 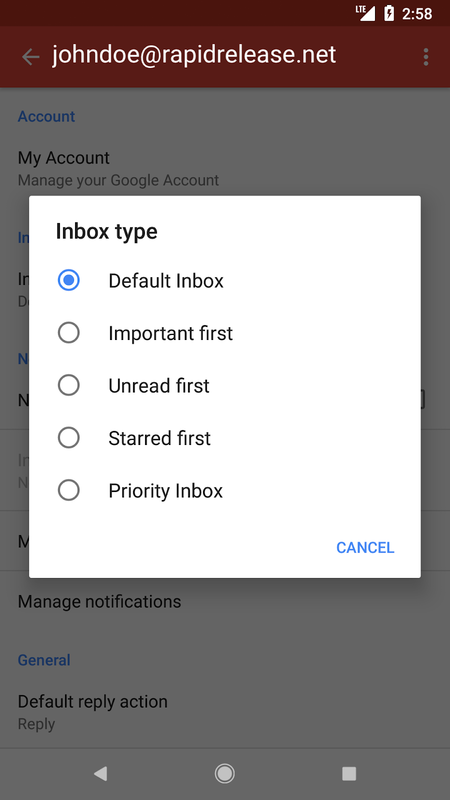 As of right now, it seems the update hasn't entirely gone into effect — the only currently available options are 'Default Inbox' and 'Priority Inbox' — but we can probably expect the change to come soon. 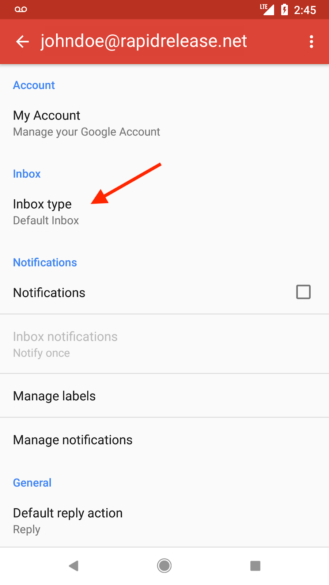 As noted by Artem, it appears that the default inbox type can't be changed, which is either an obvious oversight or a very puzzling limitation. Not only that, but the 'Unread first' inbox type shows only unread emails, unlike on the web where it shows read emails after the unread ones. What gives, Google?